Charles Dickensâ€™ A Christmas Carol has had a wide appeal for readers of all ages since its publication in 1843. Through the years it has been adapted for television, movie, radio, and stage. 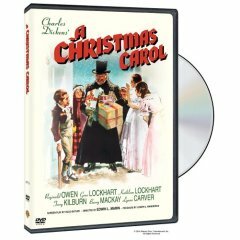 The main plot centers on Ebenezer Scrooge, who is a rude and callous businessman. All he cares about in life is his own well-being. Christmas has no meaning to him. As the story progresses, we find Scrooge being visited by the Ghost of Christmas Past who enables him to visit his innocent childhood, the Ghost of Christmas Present who holds a mirror to the hard-hearted life he is presently leading, and the Ghost of Christmas Yet to Come who allows him to see the future he will have if he doesn’t change. Scrooge comes to the ultimate realization that the only way to enjoy life is to love others. Thereafter, he vows to keep Christmas by caring for his fellow man. Beneath this simple story lies Dickensâ€™ earnest urge for us all to remember that the essence of the Christmas to season is not to spend it fulfilling our individual desires, but to really enjoy it by showing love to others and bringing happiness in their lives. Remember John 3:16 For God so loved the world that He gave His only begotten Son, that whoever believes in Him should not perish but have everlasting life. God demonstrated the ultimate gift of love by sending His Son, Jesus, into the world. He cares so much for us that He unselfishly allowed His only Son to take the punishment for our sins so that we might have an abundant life. During this Christmas season, think on the following verses to keep you from being a selfish “Scrooge” yourself . These are also great to share with your children and grandchildren as you seek to lead them to be caring and giving at this season and all year through. Ephesians. 4:32 And be kind to one another, tenderhearted, forgiving one another, just as God in Christ forgave you. Romans 12:10 Love each other with brotherly affection and take delight in honoring each other. Also, think about a “Scrooge” you know, who you feel will never change. The love of Christ can melt that heart, tenderize it, and completely remake that person in God’s own image. Don’t give up. Keep caring for and loving them.